Just finished my first read of the GP 2013 Cookbook and have to say - well done Ian and Mark! As usual, the content and quality of the material presented is just outstanding. 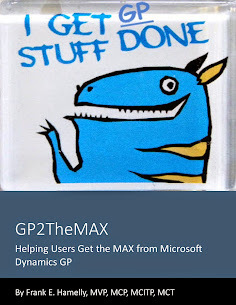 The writers have taken the original GP 2010 Cookbook, which is excellent in its own right, added GP 2013 new features to it, and offer an excellent resource of tips and tricks that every GP user should have on their bookshelf or in their e-reader. Regardless what GP version you're using, this book should be required reading. 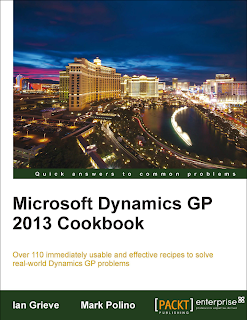 It offers golden nuggets that apply GP 2010/2013, and many versions previous. Great job Mssrs. Grieve and Polino. Get your copy at PACKT or at Amazon.